PickWEB is an iPhone app developed by Aleksej Alekseenkothat provides users with a hand-curated directory of the most useful and interesting sites on the web. When you open up PickWEB you’ll notice the three main screens are Catalogue, Links and Search. 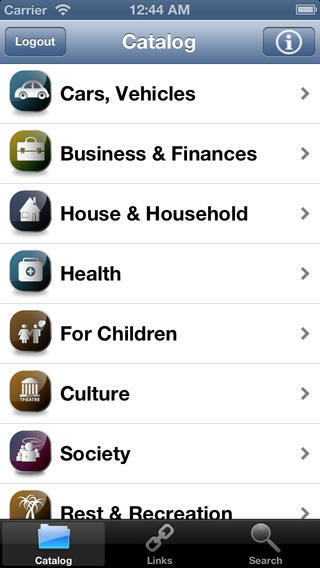 Catalogue presents you with a list of different topics from Cars to Health to Education and Sports. 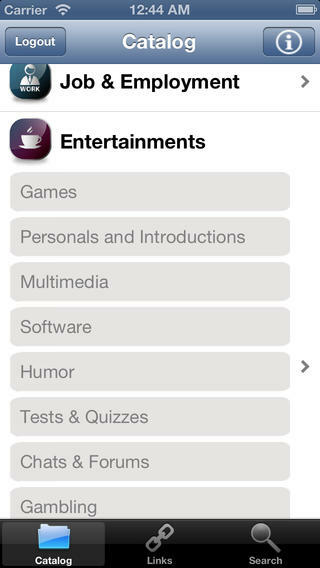 If you tap on one of these categories you’ll find a list of sub-categories. For example if we tap on Cars, you’ll then see a list that includes Auto Press Media, Maintenance, Spare Parts & Accessories, Motorcycles, Driving Schools and so on. If you select one of these subcategories, you’ll be taken out of the app and into Safari where you’ll see an overview of multiple webpages with relevant information. Unfortunately, you then need to close safari and re-open PickWEB in order to continue using the app. If we tab across to the Links part of the app, the structure is again very similar except now the links take us straight to Safari again with further lists of websites with content related to the topic we have selected. 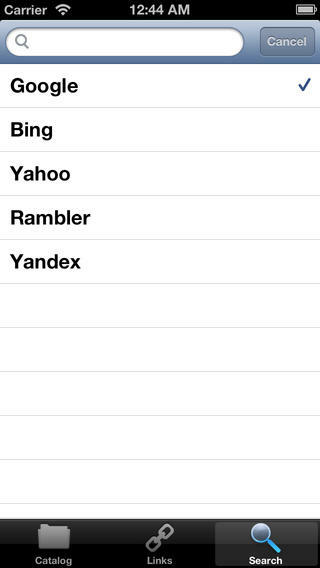 The final tab Search, lets you select a search engine (Google, Yahoo, Bing etc) and then the app again opens up Safari to deliver your results. The concept of PickWEB is theoretically a good one – to provide hand-picked websites across a range of different categories, but the days of the directory have long passed. We now live in an age of Google and semantic search, where the answer to any question only a click away. However, PickWEB is free so if you like the idea of a curated app take a look. 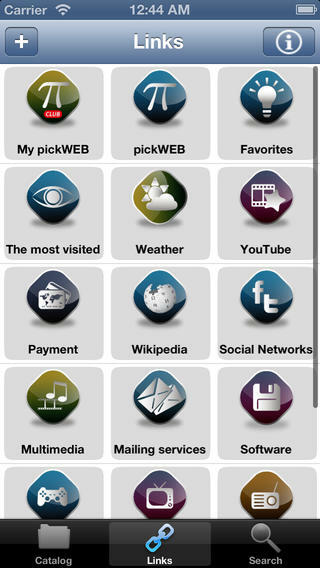 PickWEB requires iOS 4.3 or later. Compatible with iPhone, iPad, and iPod touch. This app is optimized for iPhone 5. Follow Tapscape for reviews of the best iPhone apps.